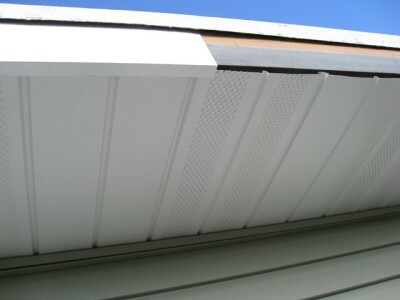 Gutter covers will reduce your gutter cleaning cost to nothing! Thompson Enterprises has bee installing gutters in Ames, Marshalltown, and the surrounding areas since 1982. 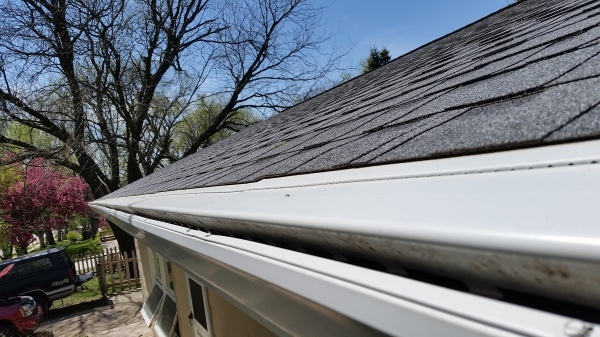 Whether it is installing new seamless gutters or gutter repair we are Iowa's best gutter installer company! LeafX gutter guard keeps your rain gutters clean and working. LeafX works well on house gutters and also commercial gutters. 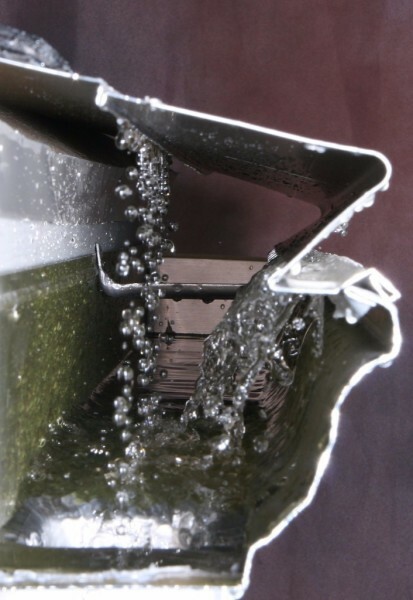 This side view of LEAFX gutter helmet shows how water flows into the gutter by clinging to the surface until it falls into the perforated edge. Protect your house with aluminum fascia that will stand the test of time! 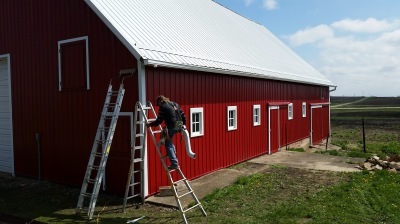 Give your house a much needed facelift with aluminum fascia installed by our expert craftsmen! Commercial gutters installed to handle the greatest drainage demands, from pole buildings to barns, we can solve your drainage needs. We install gutters on older homes to solve the drainage issues and also make them look new! If you live in central Iowa You can bet that Thompson Enterprises has installed gutter in your town. Ames, Ankeny, Maxwell, Hubbard, Rhodes, State Center, Colo, Nevada, Marshalltown, Clemons, Melbourne, Gladbrook, Garwin, Gilman, Baxter, St. Anthony, Albion, Haverhill, Laurel, Grinnell, Madrid, Boone, Farrar, Gilbert, Union, Whitten, Beaman, Conrad, Eldora, Elkhart, Grundy Center, Collins, Fernald, Liscomb, Lamoille, Tama, Toledo, Radcliffe, Jewell, Traer, Van Cleve, New Providence, Garden City, McCallsburg, Roland, Clutier, Dysart, Green Mountain, Montour, and Cambridge are just a few of the towns that Thompson Enterprises has installed rain gutters!